You never conquer a mountain. You stand on the summit a few brief minutes and then the wind blows away your footprints. It’s an efficient way to stay fit. 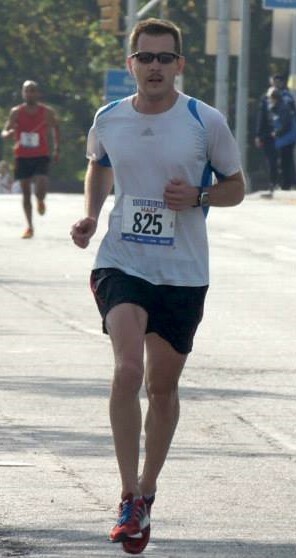 The last 3 miles of my first marathon. I could sense that despite fatigue, I wasn’t going to hit a wall, and I had enough in the tank to hold pace and run faster than I expected. It’s as good a way to spend a weekend as anything else. Being approached and told by runners that running with my pace group was helpful to them. You won’t have to think about hitting your spits. I will do it for you, and I will do it accurately. Don’t worry about the watch. Pay attention to how you feel. That’s the only way you learn to race.